When the Friediker Rebbe was in America, the gabbai for a yechidus was Rabbi Eliyahu Simpson. 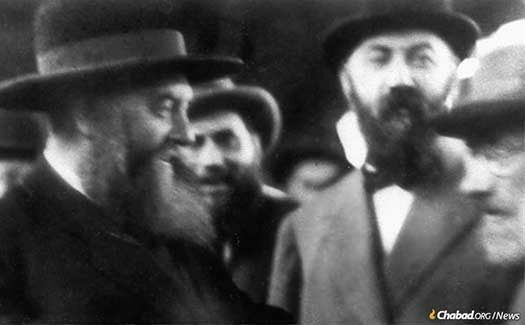 Being that for many it was difficult for them to understand the Rebbe’s speech, especially after he suffered a stroke in 1944/5, many people requested of Rabbi Simpson, who did understand the Rebbe’s speech, to enter with them into the yechidus, and then to repeat to them what the Frierdiker Rebbe said. 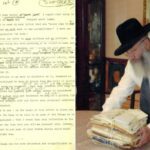 It happened, that for some reason Rabbi Simpson was not available to join them, so after the person had a yechidus, the person, and especially if it was one of the bochurim in 770, would request the RaMaSH (as the Rebbe was then called), to please go to his father-in-law, the Rebbe, and request that he repeats to him what he said to us. The Rebbe would then go to the Frierdiker Rebbe’s room, which was on the second floor of 770 and then come down and repeat to that individual, what his father-in-law, the Rebbe said. 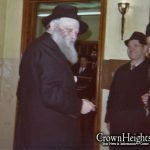 It was in 5706/7 (1946/7), and one evening Reb Mendel Baumgarten was scheduled to have a yechidus with the Frierdiker Rebbe. The person(s) who were supposed to enter before him weren’t there and someone said “Bochur, enter the Rebbe’s room. However, at that moment Rabbi Simpson wasn’t available to enter with him, but you can’t keep the Rebbe waiting, so he entered by himself. As he feared, there were certain words and phrases that the Frierdiker Rebbe said to him, which he didn’t hear clearly, and although he tried to read the Rebbe’s lips when he was talking, he didn’t catch all the words. When the Rebbe’s lips stop moving, he understood that the Yechidus was over and he respectfully exited the room. But his dilemma was, how can he act on the guidance and instructions which he was given in the Yechidus, if he was missing some of the Rebbe’s words. They are definitely important and crucial words. 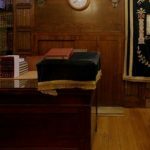 So like so many bochrim, as he came downstairs he knocked on the door of the RaMaSH’s office and requested of him to please ask the Rebbe to repeat it. The RaMaSH stood up, and straightened his jacket, as if he was going to the Rebbe’s room. However, a moment later, standing in his place, the RaMaSH said, “it is not necessary” and he began repeating the words of the Frierdiker Rebbe, word for word. Reb Mendel was thunderstruck; this was a clear sign of his open and pure ruach hakodesh. His admiration and respect grew tremendously as he realized that this is not just the Rebbe’s son in law, but much more than that. Thank you Crownheights.info for posting! Wow! What an incredible story! We’re so lucky to have the Rebbe, Baruch Hashem! May we be Zoche to see the coming of Moshiach NOW! Amen!